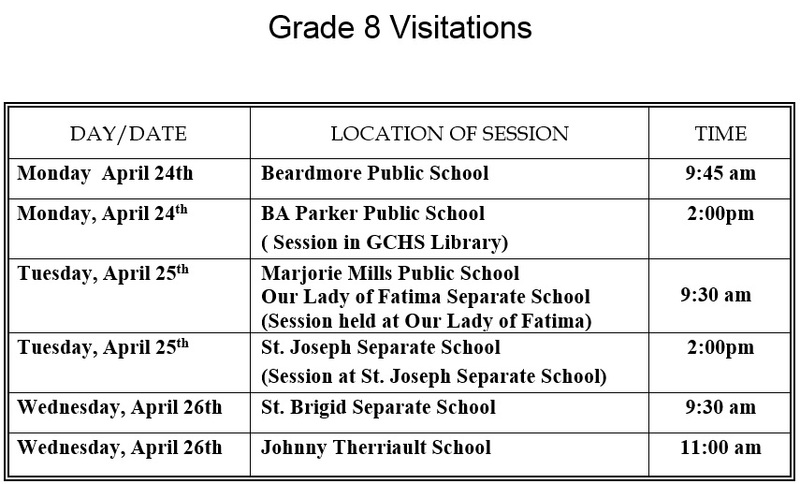 GCHS Student Services will be making visits to Grade 8 classrooms across our area next week. At these sessions students will be provided with information about transitioning from elementary to secondary school. Information about the programs and services of GCHS will also be shared.